Thirty years ago, Ray Reiter witnessed the brutal death of his parents at sea by a strange, octopus-like creature. Now determined to exact revenge, he joins archaeologist Nicole on a perilous high-seas expedition to find a legendary Greek Opal - said to be guarded by the very beast that murdered his family. 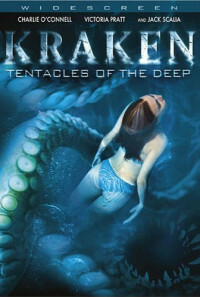 As they come face to face with the killer Kraken, they must also battle a ruthless crime lord, who will stop at nothing to seize the coveted treasure for himself. Regions are unavailable for this movie. Click the "Watch on Netflix" button to find out if Kraken: Tentacles of the Deep is playing in your country.